It is something we do automatically every day on average 21,600 times. It is a quick way to calm down, to quiet anger, to lower the heart rate and reduce stress, but do many of us really stop to think about our breath or breathing. In watching the Olympic coverage in 2012 I noticed how many of the athletes in all different sports from runners, swimmers and divers, to gymnasts and archers all needed to be able to control their breath to improve their performance. I also saw that many athletes were utilizing this built in calming system of breathing to ease their stress before competing. We can all learn something from these athletes and leading medical proponents like Dr. Andrew Weil about how to calm down and reduce stress through deep breathing. On this page you will find information about breathing including several different breathing techniques as written instructions and as video clips with different breathing techniques for adults and even one on using mindful breathing with children. In addition I've included some of my favorite breathing prompts—songs, calming breathing images, just breathe decals to use as reminders to "Just Breathe." Be sure to look at the "Breathe In, Breathe Out Practice" below as an easy way to breathe in the good and breathe out the bad in the time it takes for one breath cycle. Do you think about your breathing? Only when I want to unwind. Why should I think about my breathing? A beautiful, calming quote below from Thich Nhat Hanh in his book, Being Peace, one that helps to reduce stress almost just be reading or reciting it. I keep this nearby on a poster to help remind me to breathe. One of my all time favorite female empowering movies. Ever After features the scene above where Danielle (Drew Barrymore) enters the ballroom reminder herself to "Breathe..."
My first exposure to using "Breathe" as an internal calming mantra was after I watched the 1998 movie "Ever After" featuring Drew Barrymore as a modern-day Cinderella. There is one scene that has stayed with me since seeing the film, in which Danielle (our Cinderella) is nervously walking into the Prince's ball. She takes a moment to steady herself and calm her nerves by simply saying "Breathe." My calming "Breathe" mantra changed a bit after hearing Anna Nalick's lyrics to Breathe (2 AM). Suddenly the Breathe mantra also had a beautiful melody and expanded to "Breathe... just breathe" and if need be a bit longer with "Breathe... just breathe, Oh breathe, just breathe." For me the breath-focusing lyrics combined with a soothing melody and sung in Anna Nalick's beautiful voice is very calming. Taking a moment and remembering to "Breathe, Just Breathe" serves as a helpful reminder that when I feel stressed, I need to breathe and the act of breathing will help relieve the tension and calm my distress. The acoustic version of this song has the raw quality that the lyrics evoke. Anna Nalick's Breathe (2 am) has become a personal mantra for me. The lyrics to Breathe (2 AM) capture the frustration that one often feels with life and relationships and balances that distress with the calming lyrics found in the line "Breathe... just breathe." This breathe lyric serves as a helpful mantra to use when stressed. In addition to the calming lyrics, her beautiful voice is very soothing which helps to enhance the relaxation quality. Music video by Anna Nalick performing Breathe (2 AM). (C) 2004 SONY BMG Music Entertainment uploaded by annanalickVEVO. I've written several posts and articles over the years about the benefits of "Just Breate" as a mantra for coping with challenges. Taking a moment to focus on one's breathing is a simple but effective way of coping with and reducing many of the stresses faced as a part of living. There are several different breathing techniques that can be used to help in calming the frazzled nerves that NICU Parents may frequently experience. 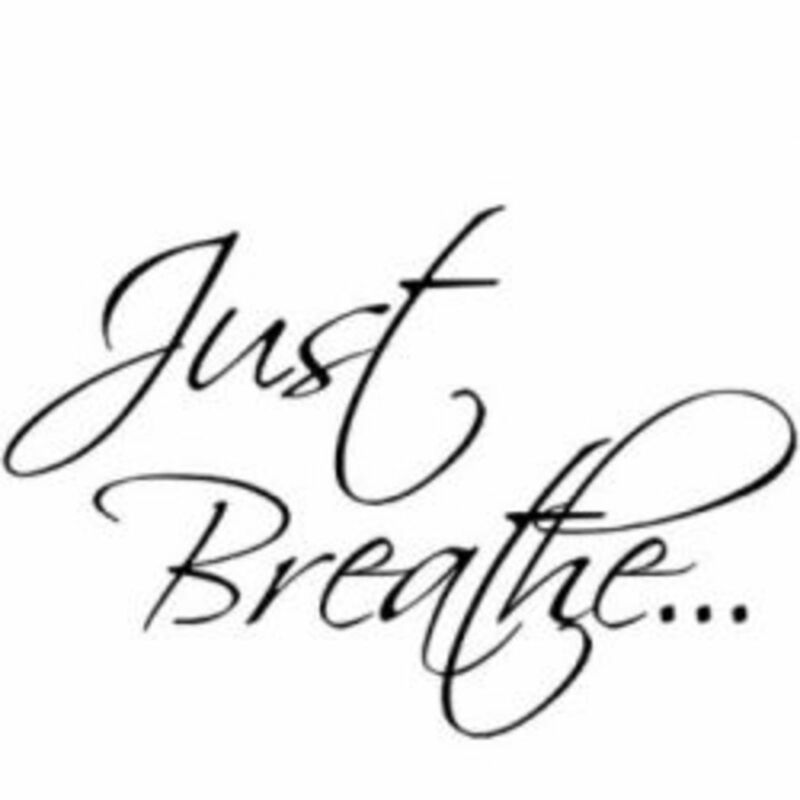 Taking a moment and remember to "Breathe, Just Breathe" serves as a helpful reminder that when I feel stressed, I need to breathe and it will help relieve the tension. Breathing techniques are just one of the many ways to benefit the mind and body and help with healthy aging. Breathing is something that is with you all of the time, something you can choose to focus on, or something that you can ignore and it continues to go on subconsciously. Dr. Weil points out that the breath is controlled by two sets of nerves, one is the voluntary nervous system and the other to the involuntary or autonomic system. Our breath is the bridge between these two systems. Thus breathing is the only bodily function that can be performed both consciously and unconsciously, voluntarily or involuntarily. Stopping to focus on the breath, to take a moment and to remember to 'Just Breathe' can be very effective in helping to consciously relax and to heal. Breathing is an effective technique for stress reduction and managing chronic illnesses, enabling those who are stressed to readily use a technique at their fingertips (or more appropriately their nose tip) to reduce stress through the day. Learn about the 4-7-8 Breathing technique used by and taught by Dr. Andrew Weil and then some of the science behind why breathing matters. The Relaxation Breathing or 4-7-8 Breathing demonstrated by Dr. Weil in the video above is an easy technique to learn and to teach. 3. Breath out to a count of 8. Relaxation breathing should be done at least twice a day for the calming benefits. In addition to the Relaxation Breathing or 4-7-8 Breathing technique demonstrated above, there are two other easy breathing exercises from Dr. Weil's article on Breathing: Three Exercises. This technique is a good way to get a quick, invigorating energy boost. It is noisy. 1. Breathe in and breath out rapidly through your nose. The inhalation and exhalation should be the short but equal length of time. 2. Continue breathing in and out as rapidly as possible for ~ 15 seconds. 3. Breathe normally after finishing a cycle. 4. After finishing you should feel energized and invigorated. Practice bellows breath (stimulating breath) increasing practice intervals by five seconds, until reaching a minute. Bellows Breathing is one technique that is showing improved lung function in athletes. This is one of the easiest breathing techniques frequently used by monks. 3. Take a few deep breaths slowly and quietly. 4. Start by count "one" as you exhale. 5. Continuing counting on the out breath up to "five." 6. Once reaching "five" start a new cycle. Try to work up to 10 minutes counting your breaths as an easy form of mediating. From Dr. Andrew Weil and Jon Kabat-Zinn a resource on using mindfulness meditation with breathing for health. 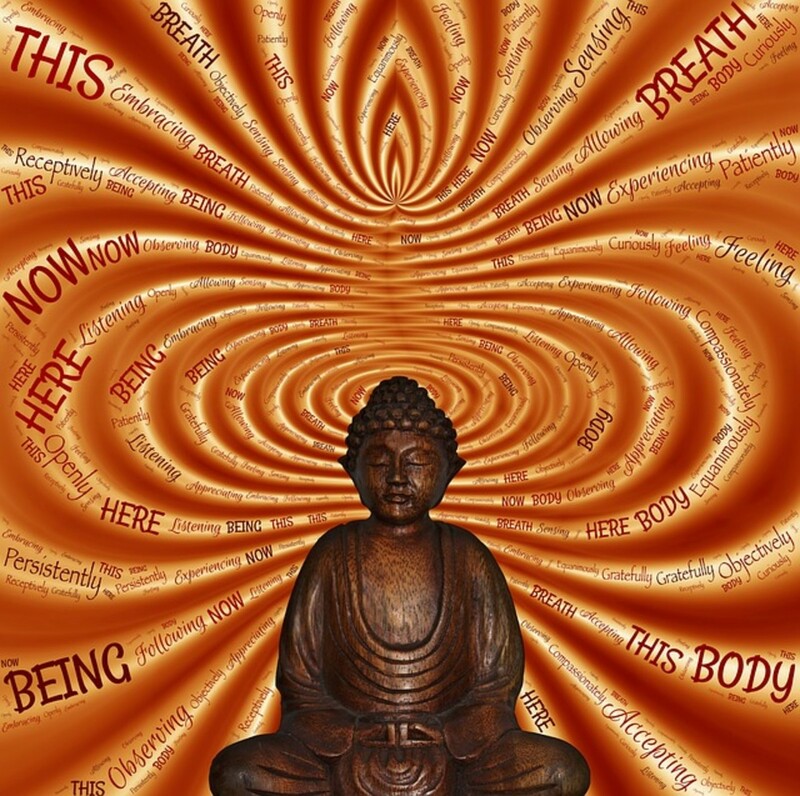 Breathing is a natural object of meditation. Moving your attention to your breath, even for a few seconds, can calm your mind and body. Breathing is the bridge between mind and body, the connection between consciousness and unconsciousness, the movement of spirit in matter. Breathing exercises can reduce stress, improve mood, and help you feel energized. Better yet, they are simple, easy, and can be done anywhere. 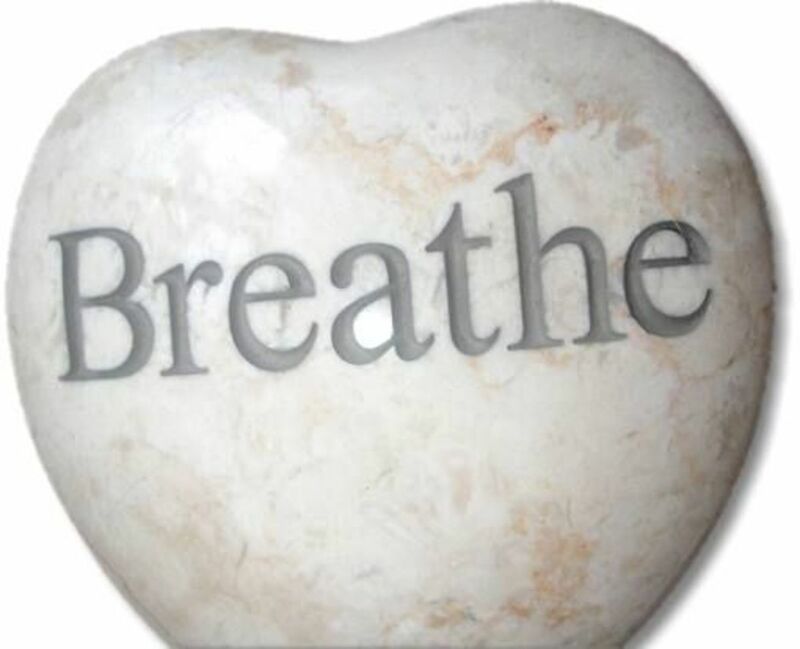 Three breathing exercises from Dr. Weil that can be used to help relax and reduce stress: The Stimulating Breath, The 4-7-8 Breathing Exercise (also called the Relaxing Breath), and Breath Counting. Including breath work into your daily routine can lower stress and improve overall health. 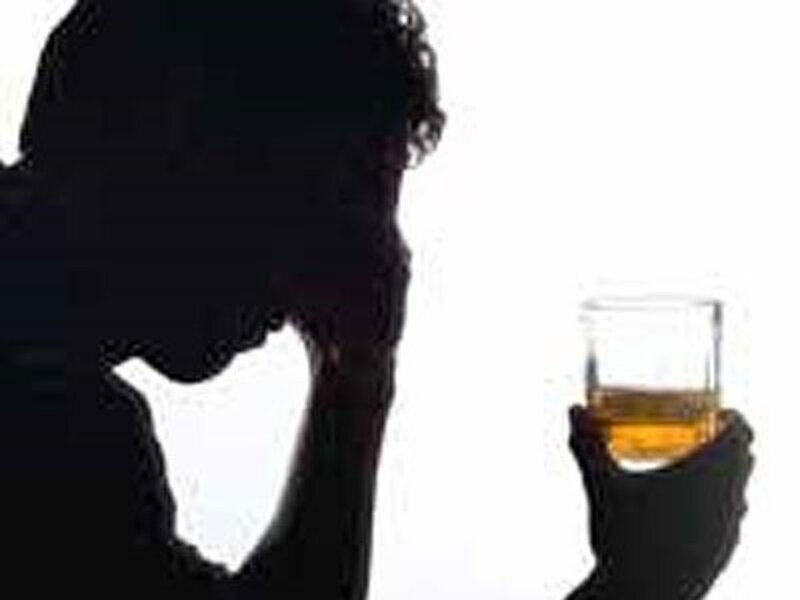 During stressful situations we rarely stop to think about what is happening within our bodies. Indeed, the pressures of the moment keep our minds occupied on almost everything but our physiological functions. Caregivers can experience physiological and psychological changes as a result of long-term care giving duties. 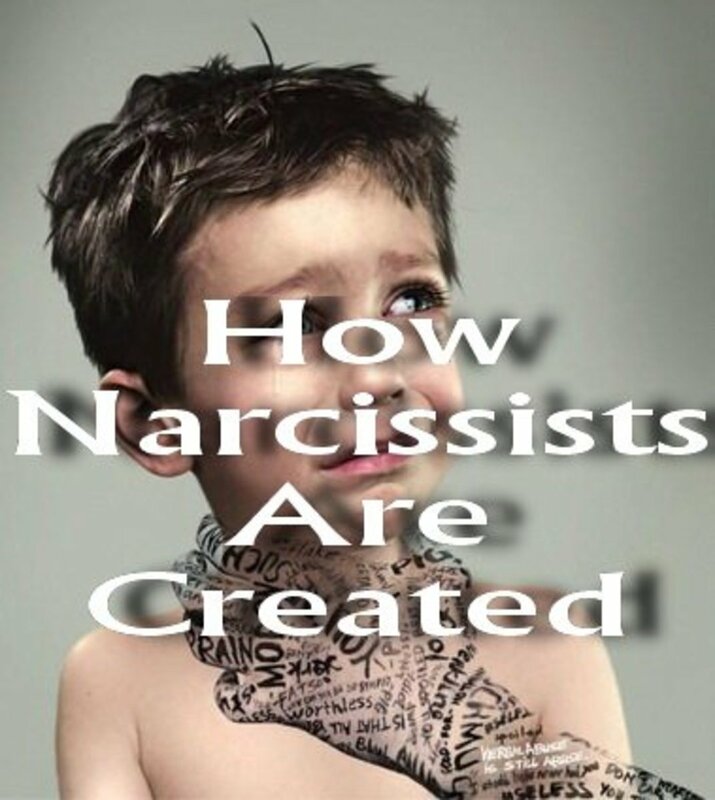 Recognizing these symptoms can be helpful in taking care of the care giver. Emotional eating occurs when one eats in response to emotions or other triggers rather than in response to hunger. Finding things to do instead of eat when a craving hits makes it easier to resist. Breathing, something we do automatically every minute of every day, is a powerful tool to help calm down, destress and unwind. Learn a few breathing techniques and you'll be able to relax in seconds. There are many health benefits from breathing. Some are related to the effects of increased lung volume and improved oxygenation, others are related to relaxation effects. Dr. Jim Nicolai devotes a chapter to discussing his experiences teaching and using Breathwalking. This fact sheet provides a general introduction to meditation and suggests resources for more information. Controlling your breathing is an important part of yoga. In yoga, breath signifies your vital energy. Yoga teaches that controlling your breathing can help you control your body and quiet your mind. Because of the deep, mindful breathing that yoga involves, lung capacity often improves. This in turn can improve sports performance and endurance. Learning to breathe in a more relaxed way can help fight off some serious medical conditions. The benefits of breathing techniques are myriad. Breathing deeply not only provides a natural way to relax, but it aids with stress reduction, which is essential to keeping your mind and body in a healthy state. The Centering Breath, a 15-second deep breath, is a key part of the 10-Minute Toughness Mental Workout appearing at both the beginning and the end of the workout. 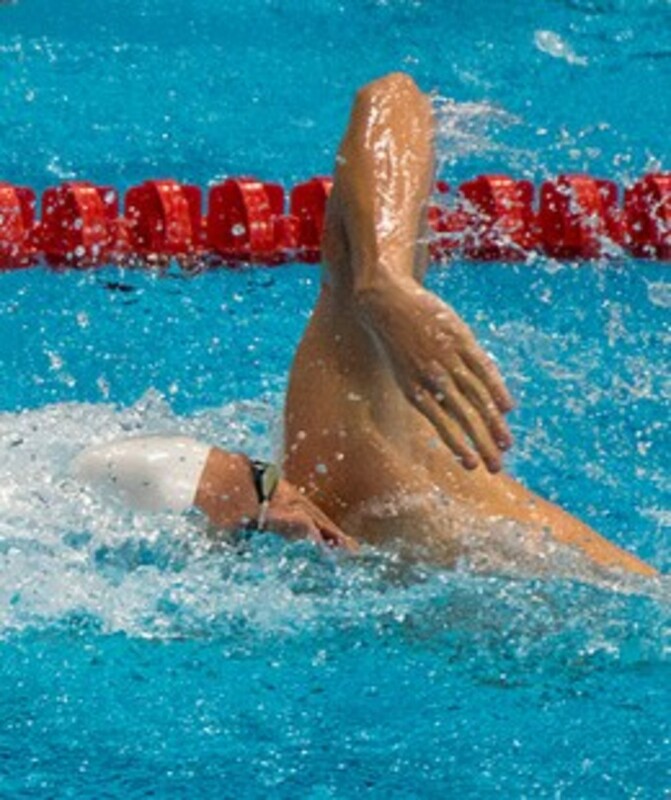 The importance of breathing, controlling the breath and using the breath as a stress reducing technique is particularly important for athletes. Olympic Gold winner Missy Franklin definitely knows how to control her breath and breathing while swimming. Researchers are finding that certain breathing exercises can help boost performances during endurance sports like swimming and cycling. Exercises that strengthen the muscles that help with inhalation help to decrease the amount of oxygen needed and boosting performance. Other researchers are discovering that yogic breathing, in particular the Bhastrika Pranayama or bellows breath, enhances lung function capacity and improves lung efficiency in athletes. Many coaches, counselors, trainers and athletes recognize the importance of breath and breathing to athletic performance. In The Mental Edge author Kenneth Baum spends quite a bit of time writing about breathing including "Breathing Your Way to Success" and how breathing can be used for instant relaxation and helping to maximize one's sport potential. 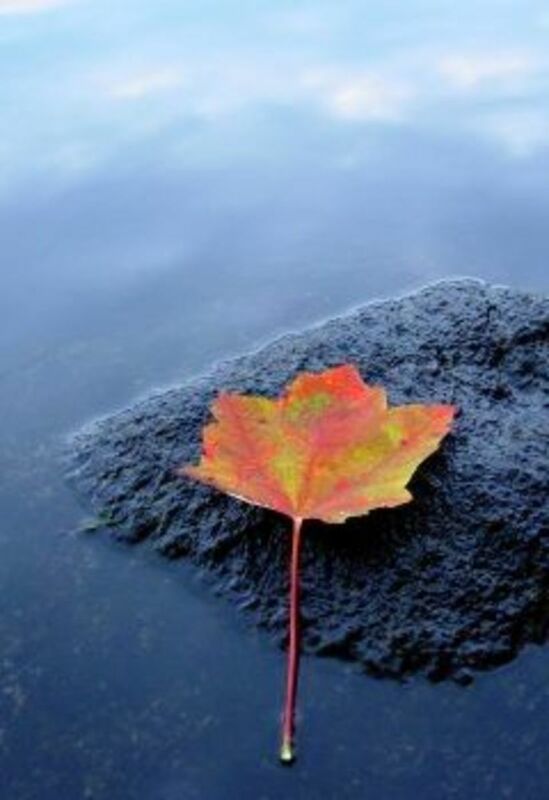 Terry Orlick writing In Pursuit of Excellence that real-world refocusing reminders often begin with a reminder to breathe, by taking one long, slow deep breath in followed by one, slow deep breath out. This helps you to shift your focus. In the video below Julie Downey explains how to practice a super simple breathing technique athletes can use to recover quickly when sitting on the bench and dramatically improve lung capacity. Checking your breathing before any athletic event should be as routine as making sure your shoes are tied. Without full, open breathing, you won't be able to perform to your potential. Breathing properly is important because it sets the stage for other mental and physical responses that cue your body to prepare for competitive stress. Breathing is one of the exercises used when training for peak performance. Dorothy Harris, PhD, professor of sport psychology used breathing as part of her "Antidote to Competitive Stress." This breathing exercise has been adapted from the description found in Mental Training for Peak Performance by Steven Ungerleider, Ph.D.
Start by imagining the lungs are divided into three parts or areas: bottom, middle and upper. Close your eyes. Imagine filling up the bottom (lower) third of your lungs. Push out your diaphragm and open up your abdomen. Imagine filling the second (middle) third of your lungs. Expand your chest cavity and raise your rib cage. Imaging filling the upper third of your lungs. Raise your chest and shoulders. In this video from CSMHP (Centre for Sports Medicine and Human Performance) Prof Alison McConnell, professor of applied physiology at Brunel University London, discusses the Power Breathe, her research and her teaching. Discover several techniques to improve breathing strength and endurance. In the video clip above and in her book on Breathe Strong, Perform Better Professor Alison McConnell discusses several techniques to improve breathing strength and endurance. One is the use of IMT (Inspiratory Muscle Training) with breathing exercisers to improve endurance in the lungs by training people to take fuller, more complete breaths. McConnell is a professor of applied physiology at Brunel University in London who has worked with Olympic and world champions around the world helping them to optimize their breathing. Basic Incentive Spirometers (the kinds used post-operatively in hospitals) can also be used as an inexpensive way to help improve lung volume. With Portable Biofeedback Devices you can learn how to sync the heart rate with breathing rate using biofeedback. Slowing down the breathing can slow down the heart rate and help to relax and reduce stress. Doing daily breathing exercises to strengthen inhalation muscles and reduce their need for oxygen helps boost performance during endurance sports such as cycling and swimming, a new study shows. Daily breathing exercises for six weeks freed more oxygen for other muscles by cutting down on the amount required by breathing or inspiratory muscles during exercise. How to breath and control breathing to pressurize the trunk and stabilize the spine for heavy lifts in Olympic weightlifting. With exercise conditioning, you will increase the amount of air that is regularly brought into the lungs each minute, and thus the amount of oxygen that can be extracted and delivered by the heart and vascular system to the exercising muscles. Sample functional breathing training exercises to make your breathing training, and your functional training, complete. It's the logical next step. Learning how to breathe properly when you're swimming freestyle can help you maximize your oxygen use in the water, increase endurance and make your workouts more effective. In Olympic competitions, physical excellence alone doesn't set apart winners from non-winners. All things being equal, those who have the greater mental strength and mastery of their emotions win. According to the American College of Sports Medicine, athletes derive as much, if not more, benefits from proper breathing that leads to a relaxed state of mind as they do from physical training. One of the simplest and quickest breathing techniques that I developed is one that I have shared with my students and in several blog posts. This is a quick and easy breathing technique that can be used by anyone needing to calm down. This simple technique is easy to remember since all you have to do is "Breathe, Just Breathe" and yet it can help enormously in calming down when faced with stress and with challenges. For another technique see the "Quick Calm Deep Breathing" video clip below. In this video Stress management expert Jordan Friedman demonstrates how to used the Quick Calm Deep Breathing Technique. This breathing technique is helpful in calming the nerves anytime one is faced with stressful events like presentations, exams, arguments, driving, flying and panic episodes. Just remember "I am warm" and "I am calm." Breathing and sighing are both ways of getting more air into the lungs, more oxygen into the body while emptying out the excess carbon dioxide. These are some of the simple breathing techniques that I have used and have recommended for stress reduction and in particular for coping with challenging times. This technique can be easily done in less than a minute as a quick way to calm down. 2. Inhale and breathe deeply. 4. Repeat 3 to 4 times. A bit longer than the slow, deep breaths, sighing is an effective way of relaxing. 1. Sigh, breathe out deeply. 2. Breathe in. Let air enter the lungs effortlessly. 3. Repeat until feeling relaxed. It may take 8 to 12 times. 1. Find a quiet place to sit or stand. 3. Slowly count backwards from 10 to 0. 4. While counting, imagine that all stress and worries are shrinking in size and importance. When you reach 0 and they are smaller. 6. Repeat if necessary until calm. the conscious regulation of breath. Several video clips with helpful breathing exercises including a One Minute Breathing Meditation from Neil708, Steady and Grounded Guided Meditation from DrDeanOrnish, Breathing Relaxation Exercise from DavidGarrigus and another Guided Meditation from Lori Granger, LMFT of the CenterforMindfulness. Pause, Relax and Breathe decals to put up as visual reminders. A simple reminder to Just Breathe. Place the decal in a place on the wall were you may need to see it most. Teachers, school administrators and parents are recognizing the benefits of using breathing techniques with children as a way to help them calm the nerves, unwind, de-stress and be more focused with their work. Breathing exercises can be used with children any time they feel stressed or anxious, or just need to calm down. 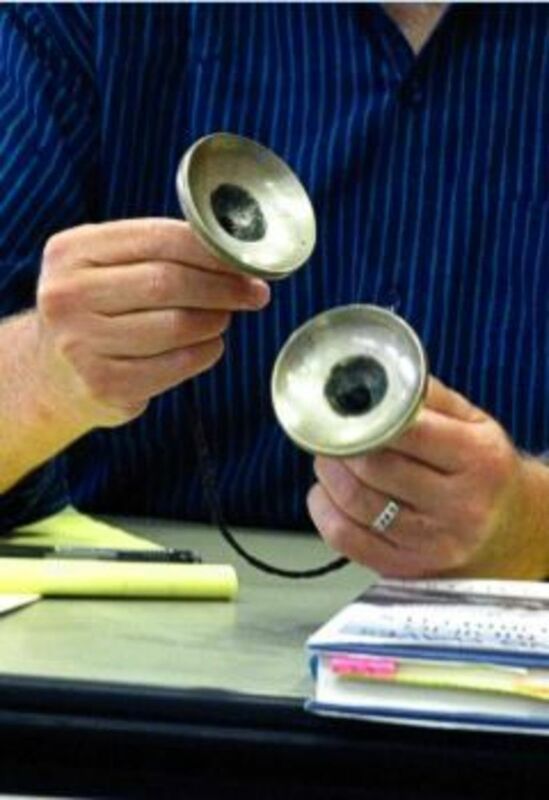 Having children or students use a simple auditory cue like the Zenergy Meditation Chimes as seen in the video clip that follows or the Tingsha Bells shown in the image to the right is a quick way for teachers and parents to help them become more aware and conscious of their breathing. The meditation chimes and the Tibetan bells are both soothing sounds that can be easily used to signal starting and stopping breathing exercises. I have even seen both the meditation chimes and Tingsha bells used as a more calming way than yelling to summon participants back to conferences. Learn how teachers are using Mindful Breathing to help students focus and get ready to learn from kidsNfamilies. These lucky symbols on the meditation bells will help to bring luck to your practice, or your classrooms' practice. The three chimes allows for more tones in ringing or chiming choices. Reducing stress in kids is a goal of parents everywhere. These easy research based tips can be applied immediately so that you and your child can relax. Although a child is born breathing deeply with his tummy, the KidsRelaxation website says that he will usually become a chest breather by the time he is 6 years old. Cognitive behavioral therapy, mindfulness, and breathing techniques are among several nonpharmaceutical interventions that have been shown to help children with anxiety. Breathing techniques are very important for inducing relaxation. 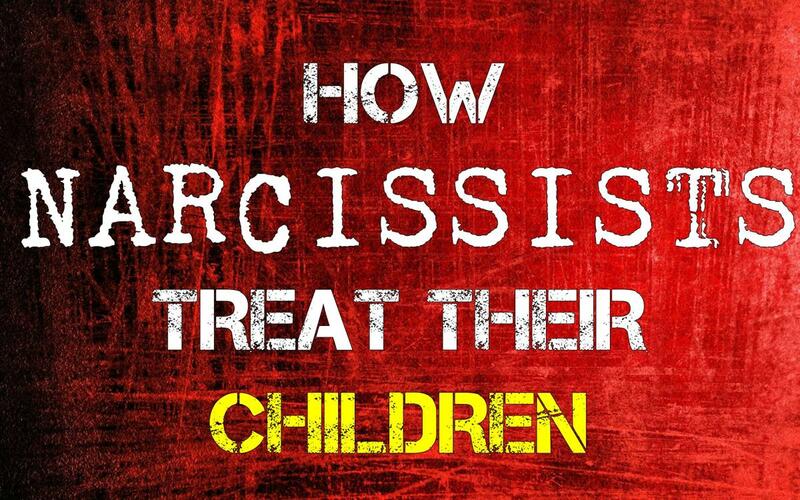 They are effective for all children but can be particularly beneficial for those with special needs because it can help to avoid panic, aggression, meltdowns, or tantrums. Perhaps the most simple breathing technique is one that gets you to tune into the breath. This "Breathe In, Breathe Out" breathing technique is one that can also be uses as a mantra or even adapted to a simple meditation practice for stress relief that can be done in the time it takes for a single breath cycle. Think about all of the emotions, qualities or elements that you would like to breathe into your body like peace, love, tranquility, harmony, patience, compassion, caring, grace, gratitude, balance, abundance, serenity, wisdom and healing. Then think about the emotions, qualities or elements that you would like to breathe out like stress, anger, negativity, envy, anxiety, resentment, jealousy, worry, self-doubt, rage, old hurts, mistrust and doubt. "Breathe in peace and harmony. Breathe out compassion and caring." Then take in the characteristics that you desire, "I am harmony, I am compassion, I am ... " Repeat as needed. Some of the examples of Breathing in and Breathing Out that I was able to find. Be sure to add your own in the next section. There are many different qualities, elements and emotions that people would like to breathe in and breathe out. 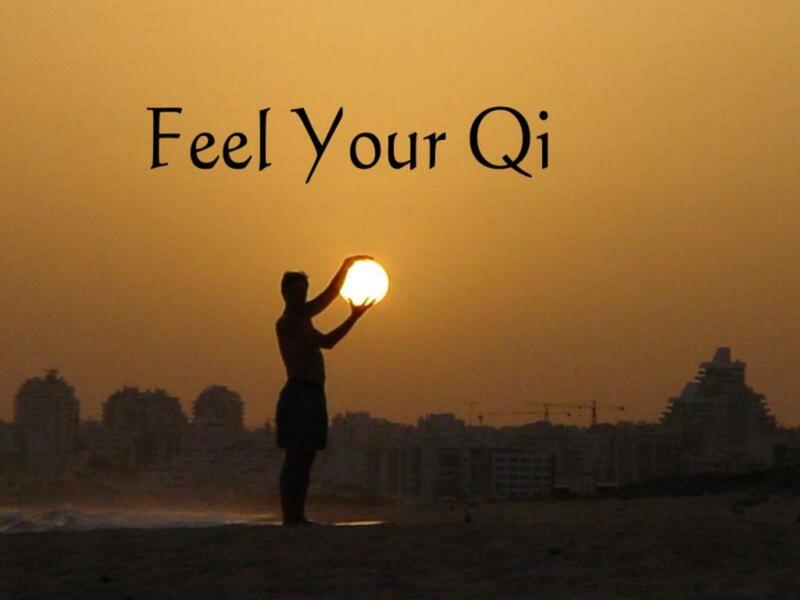 What qualities do you want to breathe in or breathe out? With Mindful Breathing as with other mindful practices, one becomes more focused and aware of the practice, in this case on breathing. In becoming more mindful about breathing one first needs to find out how to breathe. With one hand on the chest and one on the abdomen determine if the chest is rising more or the stomach is rising more. To be breathing correctly, as with deep breathing, the stomach should rise more than the chest. Any of the breathing exercises featured on this page can serve as activities that help on become more mindful. With a bit of practice it will be come second nature to be able to tune into the breath and to breathing and then use it as a readily available relaxation method. 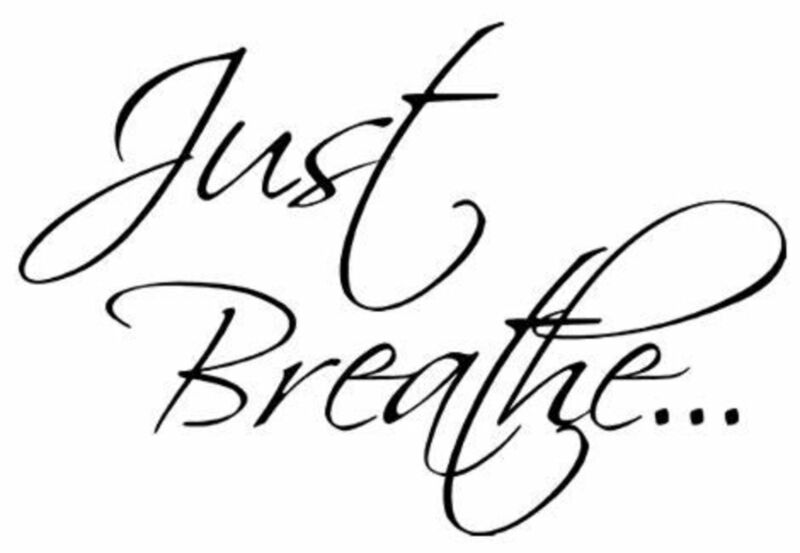 Just Breathe... wall decal from above. A calming affirmation banner. Hang it up so you can see it when you practice breathing. One easy way to remind oneself to breathe every day, is to have wall hangings, banners, decals, prints and posters with "Just Breathe," "Breathe" or with breathing quotes on the walls; this way every time one of these wall decoration is viewed it is a reminder to think about breathing. Many of the breathing quotes like an inspiring quote "Just Breathe; you'll never live this moment again," "Breathe and enjoy life," "Breathe You're Home," or the one from Oprah Winfrey, "Breathe Let go. And remind yourself that this very moment is the only one you have for sure." These quotes can also serve as inspiration in addition to being helpful reminders to breathe. 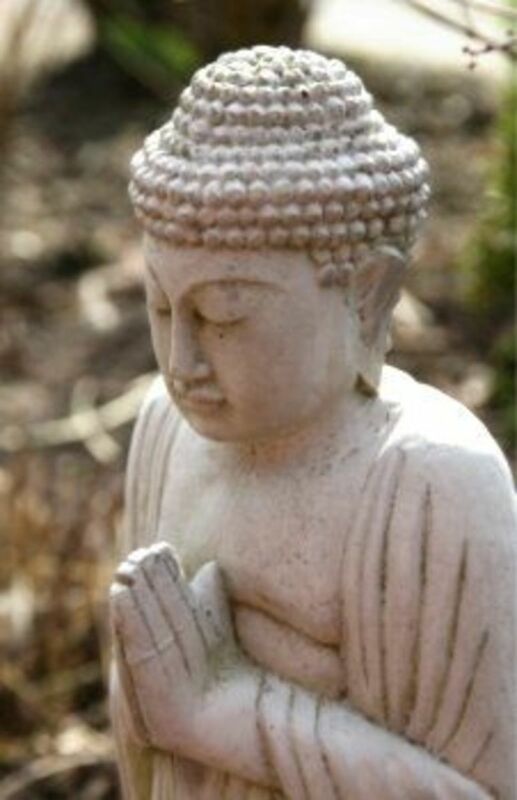 Breathing is also an element that many people want to incorporate into their calming or Zen home décor. One can incorporate reminders several ways. When creating a Zen like environment breathing might be used to create a 'space' to breath in or as reminders in the home or office to just breathe. Putting up breathing quotes or calming images like the decals in the photo can provide visual cues to breathe, or in this case to pause, relax and breathe. Including calming scents from potpourri, diffusers or candles can help to encourage deep breathing and can be a good way to practice breathing as one inhales soothing aromas. 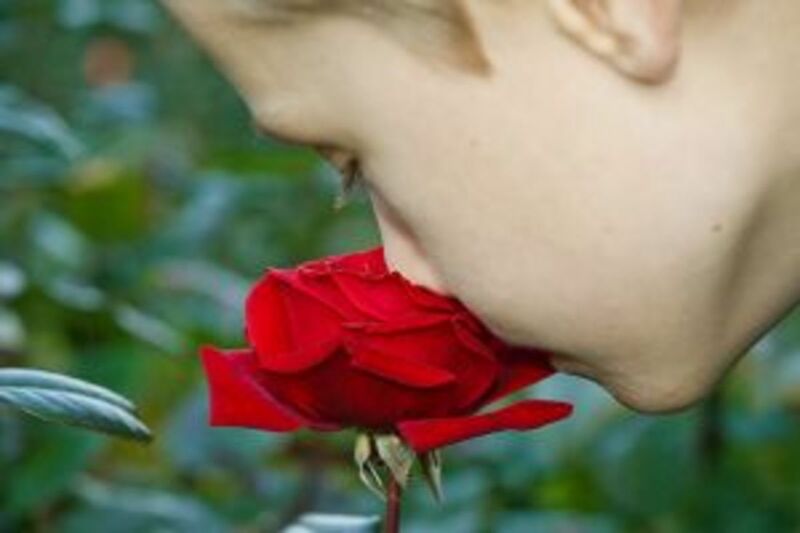 Even displaying flowers is a way to encourage people to stop, "smell the roses" and inhale deeply. The silver cuff bracelet inscribed with a single word, "Breathe" is a good reminder and grounding resource. 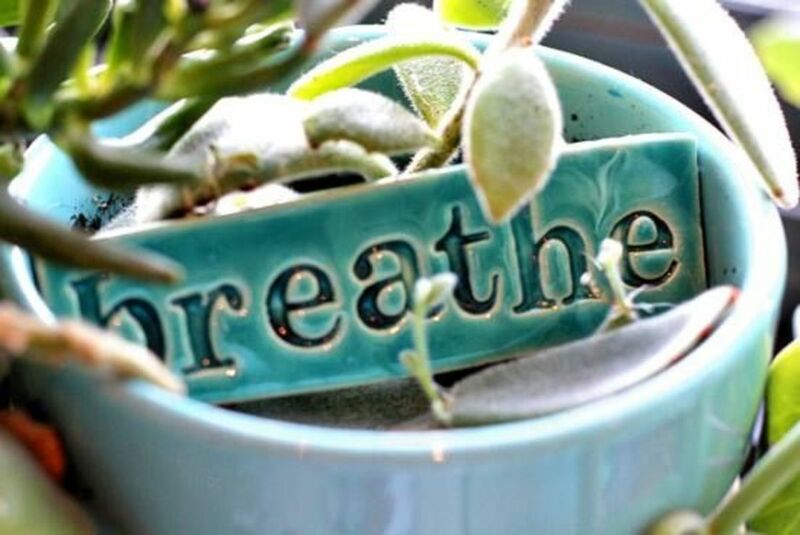 One of the ways that I like to keep a visual reminder with me at all times is to wear a necklace or usually bracelet inscribed with "Breathe" as a reminder to pause, relax and inhale deeply. I can stop for a few seconds, look at my bracelet, connect to the breath and calm down, helping me to relax, de-stress and enjoy the health benefits of respiration. Have you done anything with breath work? @PassionatelyCur: Since you are a respiratory therapist you understand the importance of breath. @anonymous: Makes sense that your horse would relax too, since animals sense anxiety. This is something I hear often when I am riding - breathe! When I do - I relax and so does my horse. Nice lens ! Thank you for sharing. @KellyMediaBest LM: Since the breath lives between the voluntary and involuntary systems in the body, it can serve as a bridge. Glad to read that you learned something. @anonymous: ... and a technique that is at your disposal any place, any time. @EMangl: A great time to think about it. Stopping to breathe can help diffuse anger. I never really thought about the fact that breathing is the bridge between our conscious self and out subconscious self. What a cool realization. I have done yoga a couple of times and love that focusing on breathing really does relax you and make you feel at peace. Cool lens! Great article - thank you for writing it. I am going to share it on facebook and also add it to my Natural Remedies For Cystic Fibrosis lens. @pheonix76: Thank you for sharing your experiences with breathing. It is a great reminder that one is alive. @MaggiePowell: I am happy to read that you were able to relate to the Ever After reference and the Anna Nalick song. I certainly think about my breathing when I am exercising, but I also find it so calming and reassuring to sometimes focus on my breaths. I like thinking about my breathing -- it is a wonderful reminder that I am alive and well. Thanks for an informative lens. Excellent.. I use some breathing techniques when I exercise, look for sleep or need to relax. Loved the Ever After scene (my daughter and I revisited the movie just last week) and love the Anna Nalick song. Great Info. @anonymous: Hopefully reading this page will be a good reminder for you. Great advice. I need to follow these breathing exercise more often, they do work. @grannysage: I am happy to hear that the timing of the lens was helpful. Having visual reminders up as banners or posters or wearing a piece of jewelry helps me to remember to breathe. @Scarlettohairy: Now you know why they recommend taking deep breaths before recording, to help you calm down and focus. Just what I needed today which was rather stressful. I find that sometimes I forget to breathe and then my autonomic system takes over and I let out a huge sigh which sounds to others like I am sad or something. No, I just forgot to breathe. I just might have to get some Breathe banners or decals to remind myself. Love the advice, and the chime which they used in the videos which we happen to have in our house. Fabulous number of tips! I do breathing exercises almost every morning, and they help center me for the day. This is such good information. I volunteer recording books for Learning Ally and they want us to take deep breaths before we start. I need to remember this for more occasions. @jlshernandez: Thank you for the reminder. I'd forgotten that I almost automatically use deep breathing at the dentist (especially when getting shots). @DebMartin: Thank you. Glad you like the mini stress break, it is one that I've recommended for some time. @favored: Remembering to breathe is such a simple way to de-stress. We just have to be more mindful of our breathing. Breathing calms the nerves especially when I am at the dentist. It is good for our well-being overall and help with blood circulation. Thanks for sharing and a reminder that we should all breathe. I am very mindful of my breathing all throughout the day, and take time out to de-stress with breathing. I've learned to do it from my training. Glad you brought this into the light. It really helps.